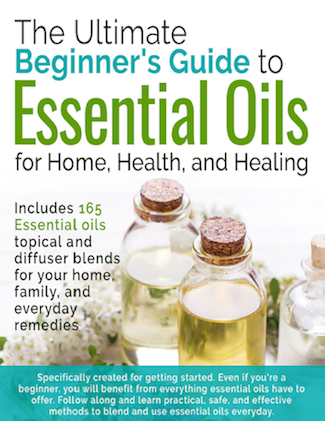 Essential oils are a must-have in any home! There is a lot of evidence and research that leads us to believe these plant extracts have a ton of healing benefits, so anyone who considers themselves a purveyor of natural, holistic remedies will know the power of essential oils for natural cleaning supplies around the house, healthy hair, and clear and glowing skin. They can even be effective pest repellents, or be used to aid the immune system or healing up infections. Many essential oils are antimicrobial, antibacterial, antiviral, and anti-fungal, so there are tons of bodily uses they come in handy for. Even if you don’t believe all the hype, essential oils smell amazing, and diffusing them could simply create a relaxing environment at home. Another use for them? You can eat them! Now, it’s important to note that if you use essential oils in recipes, you need a food-grade oil or therapeutic-grade oil. The ones we’ve linked to in this post are safe for consumption. They can come in handy to replace ingredients you don’t have at home like herbs or citrus while adding similar flavors and health benefits to your food. Here are 20 ideas to use your essential oils in recipes. Cool down with some of these gorgeous, real food popsicles! These are creamy, yet dairy-free featuring a simple blend of coconut milk and fruit. Use some lemon essential oil to add a little zing, and perhaps some ginger oil for an extra digestive boost. Other citrus notes like orange essential oil will work well with these, too. Some people like their icy treats fruity, and others like them with a little bit of chocolate. Your favorite mint and chocolate chip ice cream just got better. This recipe is dairy-free and picks up a fresh flavor from using peppermint essential oil. Pitaya is simply a fancy name for dragonfruit, but it lends a gorgeous, tropical, and fun pink hue to a smoothie bowl made for topping to your heart’s desire. You can often find pitaya in the frozen food aisle specifically for easy smoothie making. This one is infused with grapefruit essential oil for a health and flavor boost. Freezer fudge is a fun way to make a simple dessert. You can mix it, set it, and forget it for your chocolate fix later on. Plus, it will keep well in the freezer. This chocolate is freckled with raspberries and flavored with orange essential oil for plenty of tartness to balance out the rich sweetness. One of your favorite candies is now a healthier-for-you possibility. These chocolate cups are packed with creamy peppermint layers made possible by food-grade peppermint essential oils without the use of any dairy or refined sugar. Fudgy, delicious goodness in every bite. These ooey-gooey truffles are a wonderful treat for adults and kids alike with no baking required. You could even have them as a suitable bedtime snack because they’re infused with relaxing and stress-relieving lavender oil. Sweet potatoes are such a versatile veggie. They make a great contender for gluten-free baking – moist, chewy, and slightly sweet. These are baked with healthy spelt flour and both the dough and icing are infused with peppermint oil for that classic mint and chocolate combo. Lavender makes a beautiful addition to baked goods, and it pairs really nicely with everything from lemon and citrus fruits to warm almond and honey. These gluten-free muffins have a honey and brown sugar base, and they’re topped off with a sweet glaze – both featuring lavender oil. Fluffy, chewy, and moist on the outside and buttery, rich, and gooey on the inside. These thumbprints have a lemon outside, thanks to lemon oil, and a pretty purple inside infused with lavender oil for a fun spring treat. These were made for Easter! There is nothing quite like a perfectly baked scone alongside your morning coffee. Indulge a little with this doughy, cranberry scones, with a flavor splash from mood-boosting, wild orange essential oil. Cheesecake dip is always a good choice. This is a great appetizer to bring to a party. It’s perfect for dipping fruits, cookies, or wafers. You could even make the recipe low-carb by replacing the sugar in the recipe with Swerve. The creamy texture comes to life with orange essential oils, making it a whole lot like an orange creamsicle. Dreamy! If you’re more of a savory dipper, guacamole infused with essential oils is a great recipe to give a whirl. Add some zest to it with a blend of both lime essential oil and lemon essential oil. Bring some tortilla chips or veggies for dipping. Cumin essential oil lends its hand in offering up a milder flavour that pairs well with a sweet rub and coleslaw perfectly in this seafood dish. It’s a tasty way to get in your omega-3s, and a convincing reason to add this oil to your kitchen! Lemon and herbs are the key to a good roasted chicken. Using essential oils on their own or in conjunction with fresh ingredients can add a lot of depth to the flavor. Thyme oil and lemon oil are key for savory recipes, and can easily be used for a variety of chicken, pork, beef, and lamb recipes. Warm things up with delicious and versatile cardamom essential oil. These slightly sweet and slightly spicy wings are baked with mustard, brown sugar caramelized to perfection, and a burst of cardamom oil to balance things out. These shrimp and mango skewers get a flavor boost from a tasty marinade featuring ginger oil and lemon oil, coming to life on the grill with sweet mango in between. The recipe also features a dairy-free lemon and cilantro crema. This grain-free version of Mexican breakfast favorite, huevos rancheros, has a secret ingredient that gives it a burst of flavor – lemon essential oil! You’d never guess it, but we wouldn’t skip this final step. This dish is great with a side of refried beans. One of the best ways to use essential oils for a savory dish is to make a vinaigrette out of it! This gorgeous summer salad features lemon oil and basil oil blended with extra virgin olive oil and white wine vinegar which help those flavors really pop. How beautiful is this refresher? Fresh lemonade is made better with lavender oil! Simply adding a few drops to a big batch of lemonade can give it a bit more flavor, and you can always use fresh lavender if you have some growing. This is a nice bedtime drink to wind down with, and you can sweeten it with whatever you’d like which gives you a low-carb option. Maybe strawberry and lime is more your jam. If so, this is your summer drink. A simple blend of strawberries, water, simple syrup (or your sweetener of choice), and lime essential oil make a gorgeous drink to enjoy beneath the sun. It can also be used as a healthy mixer if your style is spiked. We hope you learnt more about using essential oils in your food today. Remember to seek food-grade or therapeutic-grade essential oils like doTERRA or Young Living brand, considering 98% of essential oils are NOT for consumption! Share this with an essentials oil-loving friend who loves to cook!